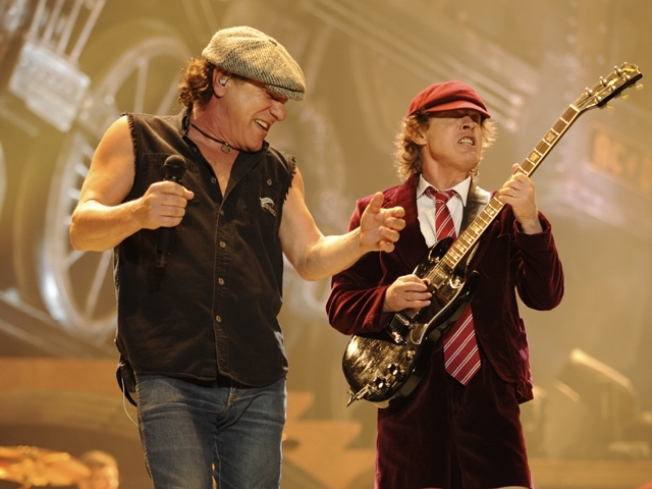 It may not be the originals, but you can hear all your favorite AC/DC tunes tonight. P, B & STAGE: It's an American masterpiece. It has everything from high drama, to a magnificent score that includes jazz and blues influences. Originally billed as a folk opera, "Porgy and Bess" gave us some classic Gershwin songs like "Summertime," "I Got Plenty O' Nuttin'" and "It Ain't Necessarily So." And for the rest of the week, the Broadway tour de force is playing at the Bushnell in Hartford. See the show that's been a favorite of fans and critics alike since 1935. Tickets are $15-$72. The curtain rises tonight at 8 p.m.
WHERE'S ANGUS? : AC/DC has been blowing out speakers for decades. With hits like "Highway to Hell," "T.N.T.," and "You Shook Me All Night Long," the band has some of the most distinct, catchy and flat-out loud rock songs in the history of music. And while AC/DC isn't coming to town, their music definitely is. Hailing from just over the border in Springfield, tribute band Back in Black will play all of your favorites, when they hit the stage for a free show at the Mohegan Sun Wolf Den. Bring your ear plugs. The show starts at 8 p.m. TAP INTO THE FINALS: The NBA Finals are making their way back to Boston tonight, where Ray, Paul, KG, Kendrick, Rajon and the rest of the Celtics will look to take the all-important Game 3 against the Los Angeles Lakers. And no matter where you are, or where you're watching the game, the C's need the support of every fan. And just like the players, the fans need to warm up too. Of course for fans, warming up often means burgers and beer. Head over to any of the Wood-n-Tap locations to enjoy the perfect pre-game Tappy Hour. You can partake in select $3 drafts and five appetizers (bar bites, bar chicks, seared ahi tuna, calamari and fried mozzarella) for just $6 from 4 p.m.-7 p.m.